This week, we're going behind the scenes with Frances Barry, owner of Barry Beaux. 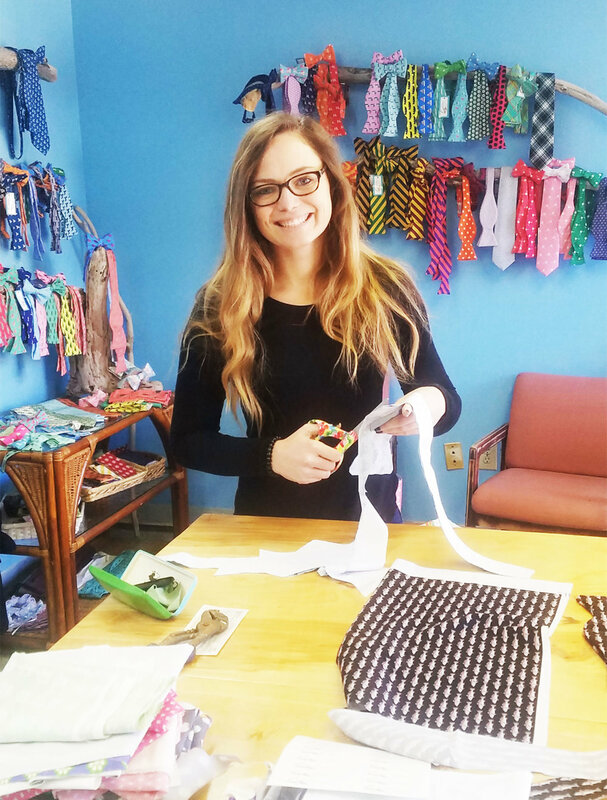 From her Mount Pleasant studio, Frances designs and sews her custom bowties, cummerbunds, scarves and suspenders so that your entire wedding party can match! Her talent doesn't stop at wedding related products, as she also offers baby blankets, tea towels, and more. With a variety of themed designs, Barry Beaux is a fantastic representation of this Charleston native's talent and creativity. Read on to find out more! I did not plan to get into the wedding industry. When I moved back to Mount Pleasant after college I decided that it made sense to tap into the wedding market due to the customization services I offer. I can match bridesmaids dress or wedding themes and just create a design specifically for each client. I was born and raised in Mount. Pleasant. I love being so close to the water and going out in the boat. My whole family lives here, too, so that is a big draw to stay. Many of my designs are inspired by the water and coast as well. I think creating cummerbund sets for my brother's wedding. It always feels great when family and friends use my services and especially something as important as their wedding. It is an encouraging feeling that my family likes and respects my work!